Las Catalinas in one of the most luxurious developments in all of Costa Rica. The attention to detail is second to none. Las Catalinas is located next to the towns of Playa Potrero and Playa Flamingo. Walk out the door of your luxurious house into enchanting pedestrian streets and plazas. Enjoy a lively social atmosphere, great food and drink, and the best boogie-boarding beach you have ever seen. At the edge of town, find beautiful hills laced with world-class hiking and biking trails. This is the good life, Las Catalinas style. 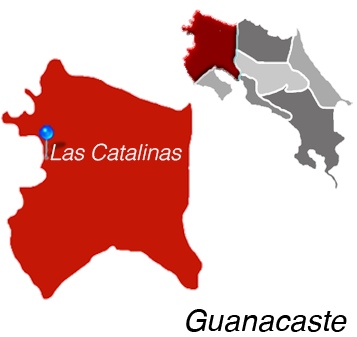 Las Catalinas Development is Located in Guanacaste.